The Customer Relationship Quality Assessment has helped transform our internal approach to managing customer experience. Everyone now understands the importance of putting the customer at the heart of what we do and that has allowed us to build deeper and stronger relationships with our customers. BT is one of the world’s leading providers of communications solutions serving customers in 170 countries across Europe, the Americas and Asia Pacific. Across the island of Ireland, BT works with a diverse range of business customers in the government and corporate sectors, helping them to thrive by maximising their return on investment in networked IT and communications services. Building a reputation for leading the way in the ICT industry in terms of putting the customer experience first is BT’s number one objective. Customer service delivery is at the heart of this strategy. BT is committed to an innovation agenda based on the premise of continuous improvement – constantly improving the quality and range of the solutions, services and products that are delivered to customers. Getting feedback from their customers is therefore critical in helping BT achieve its objectives and measure its progress. The initial customer assessments were conducted on a 6-monthly cycle. Set in the context of an economic downturn and time of unprecedented transformation and change in BT, the early indicators highlighted a number of significant customer experience challenges. Thanks to the feedback from its customers, BT in Ireland has consistently improved its Customer Relationship Quality (CRQ™) score in each assessment. Every individual from the CEO down to the front line sales teams carries a CRQ target as part of a ‘scorecard’ – the system that BT uses to measure individual performance against a set of objectives. Achieving the target CRQ and other scores determines the level of remuneration that an individual receives. The result of this focus on customer experience combined with the cost transformation that BT has undergone has placed the business in a position to invest in its network infrastructure, its products and services and its people at a time when many other organisations are struggling to make ends meet. BT has a growth agenda built on a solid performance over a number of years with the customer at the centre of its ambitions. 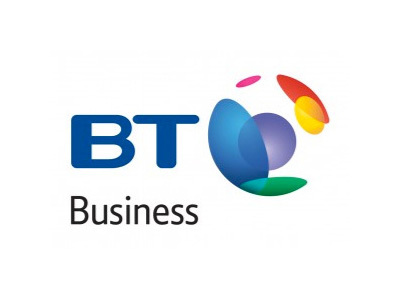 BT started its customer experience transformation journey in 2007 to measure its customers’ experience and provide ongoing analysis and feedback. The initial assessments uncovered a number of customer experience challenges that required significant focus and attention to address. A comprehensive series of programmes and governance was put in place under the overarching principle ‘Right First Time’. BT created dashboard metrics and appropriate governance structures to allow business information to be accurately extracted and reported to the Senior Leadership Team on a quarterly basis. This allows BT to determine priorities, allocate resources appropriately, design relevant training programmes and set challenging but realistic timelines for delivery. Certification programmes at the business level were undertaken and achieved including ITIL (service management), PRINCE (project management) and ISO certifications. Working collaboratively with its major customers, BT put in place Account Development Plans (ADPs) which are now being extended right across the business customer base. The feedback from the assessments delivers timely, actionable information which can be quickly turned into projects the business can implement. It also provides quantifiable measures on what is working for customers and what isn’t – and where new or additional work is required. BT in Ireland has conducted a number of these assessments over the course of its 3-year contract. Such is the importance of customer experience to BT and the benefit to the organisation of this programme, a commitment of a further three years has been agreed. BT intends to ensure that benefits achieved to date are embedded over the long term and that it continues to progress towards its ambitious targets and becomes a truly customer-led organisation.